The political advertisements are starting, and candidates are racing to introduce themselves (positively) and their opponents (negatively) to Texas voters. One way to find out whether voters have made up their minds about a candidate is to ask, gently, if they know who’s who on the ballot. U.S. Sen. Ted Cruz and Gov. Greg Abbott are well-known political figures in Texas. But the two most prominent Democrats on the 2018 ballot — Beto O'Rourke, who’s running against Cruz, and Lupe Valdez, who’s running against Abbott — are, according to poll after poll, unknown to significant numbers of voters. The same, by the way, is true of third-party candidates, certified write-in candidates and the like. In top-ticket races, those candidates are outperforming the averages when they get to 5 percent. Neal Dikeman and Mark Tippetts, the Libertarians running for Senate and governor, respectively, each got less than that in the June University of Texas/Texas Tribune Poll. Democrats in this Republican state are a different matter, often getting around 40 percent of the statewide vote and threatening, from time to time, to be within striking distance of the Republican incumbents they’ll face in November. That makes uninformed and undecided voters important. The first group has to be informed — a loaded term that means those relatively unknown Democrats will try to polish their reputations while the Republicans in those contests work to tarnish them. You see how this works, right? When either or both candidates in a political contest are unknown — meaning voters haven’t formed a solid impression of them — there’s a race to introduce them. Candidates introducing themselves are surrounded by family, puppies, flags, ice cream, emergency responders, military uniforms and, in one recent case, suburban dining rooms decorated with helicopter doors. Candidates introducing their opponents are barely heard in their own commercials, leaving it to professional announcers to list the shortcomings of the other contestants. They fill the screens with stark black-and-white images, unsettling music, notoriously divisive politicians from the opponent’s party and, in an online ad in one race, a cake baked from the ingredients of the opponent’s pending indictments. It’s ugly out there, and it’ll get uglier as the November elections — less than 100 days away now — approach. In those top two races, that June UT/TT Poll revealed the top two targets. 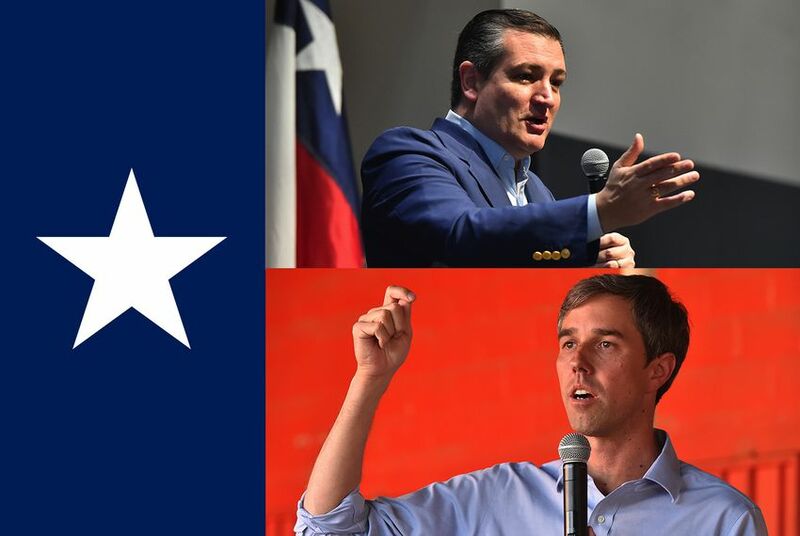 While 37 percent of Texas registered voters had a favorable impression of O’Rourke and 24 percent had an unfavorable impression, 16 percent said they were neutral and 24 percent said they had no opinion. One way to read that is to say 40 percent of the registered voters needed to be convinced whether to support or oppose the Democrat. On the other side of that race, 83 percent of voters had either a positive (41 percent) or negative (42 percent) impression of Cruz. Only 17 percent were in that neutral or no opinion category. That’s a race to define O’Rourke — especially since that and other polls showed Cruz in the lead, but not by a comfortable margin. The governor’s race sets up the same way, except that Abbott consistently polls well in front of Valdez in head-to-head matchups. Cruz has to address O’Rourke because their race is competitive; that’s one reason why he proposed five debates before the election. Abbott, far ahead, has proposed one take-it-or-leave-it debate to Valdez. That doesn’t mean he’ll leave her alone. He attacked Valdez before she was the Democratic nominee — perhaps to boost her chances against Democratic rival Andrew White — as a favorite of abortion rights advocates. That works with Democrats (the boost against White) even as it undermines her with Republicans. Like O’Rourke, Valdez has never run statewide. It shows in the numbers: Only 17 percent of voters have either a neutral or no impression of Abbott, while 44 percent haven’t formed an opinion of Valdez. At this stage of the campaign, that’s an opportunity for both of them — to race to introduce Valdez to Texas voters. There’s nothing like a first impression.